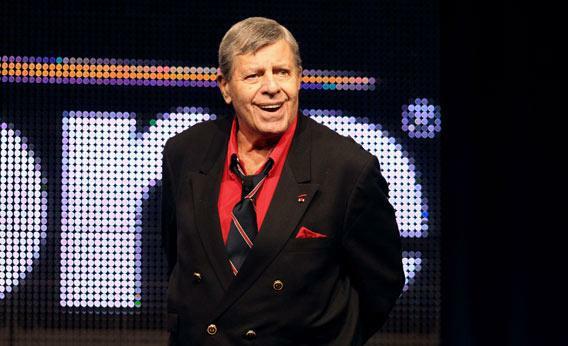 A new documentary follows Jerry Lewis to Cannes but flubs the bigger picture. An early scene in Method finds director Gregg Barson shadowing Lewis to the 2009 Cannes Film Festival, a visit made for reasons that remain unexplained, likely because they are not explicable. It seems possible that Lewis just wants to catch a few movies. “I’m gonna put on a tuxedo. It better be a good film,” he says, at a press conference, of his expected attendance at a screening of an unidentified movie. “I hope it’s dirty,” he adds, pulling at the waist of windbreaker, stretching the word dirty like a rubber band, and pulling his face into a simian mask of idiotic lust, because he loves to give his people what they want. Italy is first, Germany is second, the Netherlands is third …” France is sixth. File footage whisks us decades back to sold-out stand-up shows in Paris, where audiences brought Lewis not just flowers and wine but ham, which was like bringing coal to Newcastle. So maybe the trip represented a victory lap. Lewis flies into town toting the honorary Oscar he had picked up a few months earlier, and he is eager to show it off. “I take my Academy Award everywhere I go,” he explains in voice-over, while threatening to fellate the statuette for the benefit of photographers. The documentary’s camera captures the lensmen from an angle designed to make a tiny swarm of shutterbugs appear like a teeming plague, and you quickly begin to distrust the film’s perspective in the most literal sense. And so you approach the documentary warmly and warily at once. With its clips of old movies (sometimes unidentified) and snippets of new talking-head hosannas (from the likes of Eddie Murphy, Jerry Seinfeld, Alec Baldwin, and Richard Lewis, who is to this sort of production as Doris Kearns Goodwin is to a sepia-toned portrait of a presidency) as the film inspires fondness for this perpetual kid. But Barson is respectful to a fault. It says everything that Method proceeds with nary a hint that there was ever any tension between Jerry and Dino, which closes the possibility of exploring whether that tension was intrinsic to their success. It says a bit more that; after collecting quotes from Lewis and Seinfeld and Carol Burnett on the importance of pace and timing, the film cuts together footage of his timeless typewriter bit in a most paceless fashion. And what does it say that Lewis speaks best for himself in virtuoso clips from The Bellboy, where his title character is silent until the final scenes? C’est la vie.